Born in the Bronx in 1947, Steve Silver received a BA in English at Adelphi University, where he studied literature and wrote poetry. He also attended the Universidad Iberoamericana in Mexico City and was a visiting artist at Escola Massana in Barcelona, Spain. 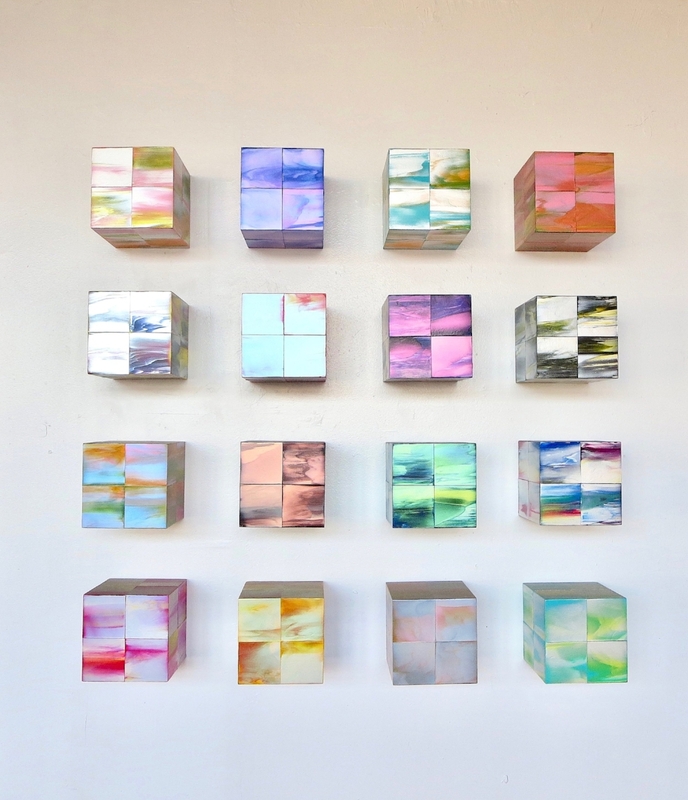 Silver's utilizes interference acrylic paint to create iridescent and brilliant wall mounted geometric sculptures that protrude off the wall. His works are lustrous and complex in both color and texture. Influenced by Georges Braque, a founder of the Cubism art movement, and Googie architecture, Steve Silver’s particular use of compartmentalization and space age aesthetics developed into a distinctive body of work. Silver states, “The satisfactions of painting are so great it seems like it must be some kind of illegal activity." He has exhibited in numerous solo and group exhibitions around the world including: O.K. Harris and Sideshow Gallery in New York City, Galerie Beck and Eggeling in Cologne, Germany, Galeria Horizon in Colera, Spain, Galerie Adlergasse in Dresden, Germany and many more. Silver was the recipient of the Change Inc. Grant in 2003. His work can be found in the public collection of the University of Florida in Gainesville.Continuation of Color and Abstractionfeatures work in a variety of media, including oils, acrylics, watercolor, and collage.